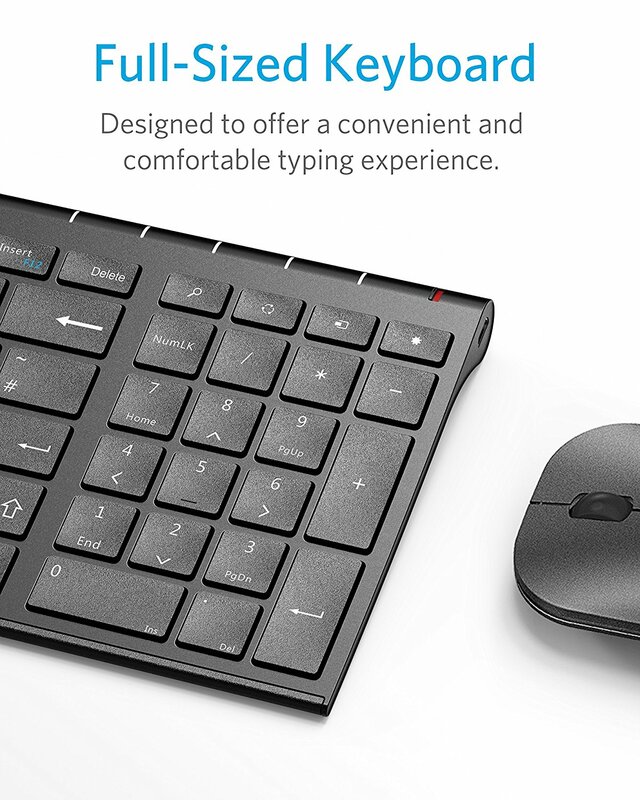 Wonderous Wireless Keyboards with Anker! It’s no secret wireless bluetooth keyboards have come a long way since their origins on the tech market. Where once the market was saturated with clunky, bulky keyboards now we have a plethora of minimalist keyboards. But quite often amidst that influx the big name brands charge a fortune for their bluetooth keyboards pushing people to seek an alternative. 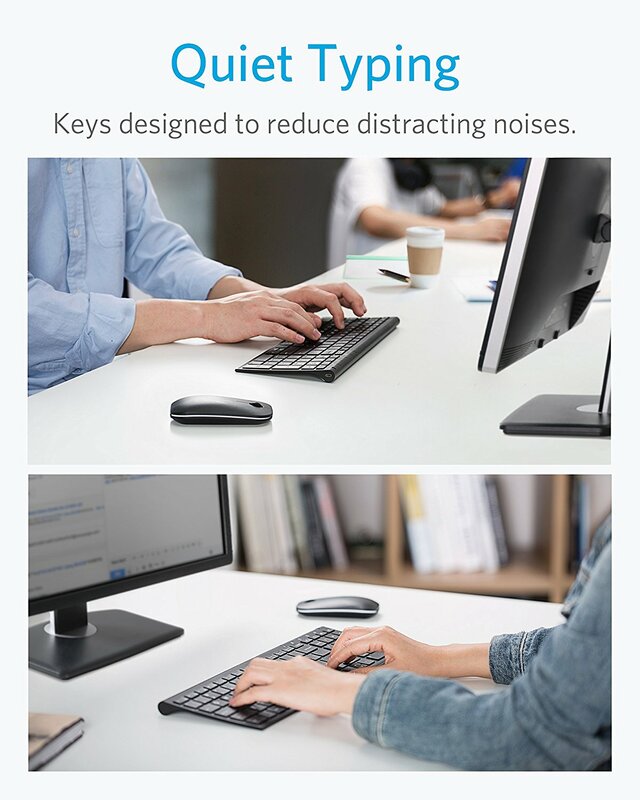 That’s why when the opportunity arose to cover two of Anker’s keyboards the ‘Anker Bluetooth 2.4ghz Wireless Keyboard and Mouse combo ‘ and the ‘ Universal Bluetooth Wireless Keyboard’ we simply couldn’t refuse. We previously absolutely loved Anker’s Soundcore Flare and Wireless sports headphones. Both of which offered a revolutionary new take on home speaker systems and comfortable sports hearing devices. Combining both a stunning aesthetic and truly groundbreaking functionality. 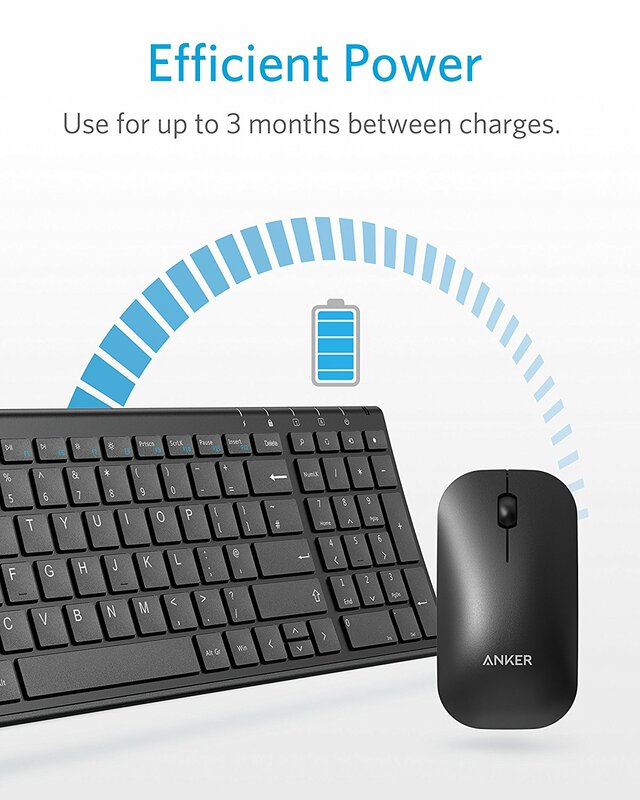 First up we got to grips with the ‘Anker Bluetooth 2.4ghz keyboard and mouse combo’. Straight out of the box it was clear that Anker’s aesthetic of minimalist chic was still prevalent. The keyboard is stunningly light and ultra portable. At just 14xx4 x 0.64inches and 0.81lbs. It’s ideal for packing with you on a commute or relocating between desks. With an impressive set of low profile keys which offer nigh silent typing. Something which is ideal if you’re working outside of the office and don’t want to cause disruption to those around you. They also make typing incredibly effortless and we found our word count going up just through general use. The keys are also impressively large which again helps when you’re typing quickly and want to ensure you don’t make mistakes. What we really liked though is the rubberised cover which lays over the keys to protect them. It’s a fantastic idea and one which is sure to ensure your keyboard really has a long life of use. Secondly the mouse has to be one of the comfiest mice we’ve used. 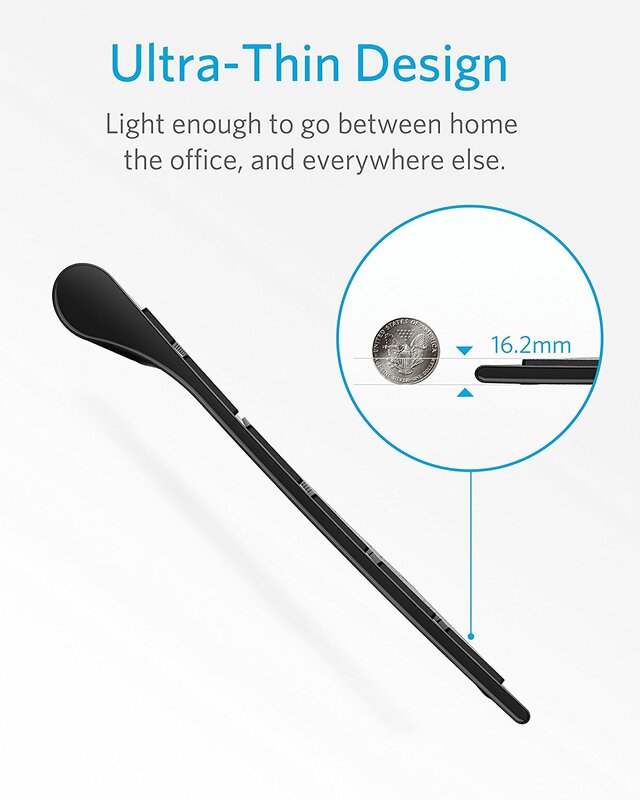 Ergonomically designed for a truly comfortable grip, it held up fantastically over long sessions of use. We had over 2 hours of use from a single charge and we’re told there’s an auto sleep function which kicks in so you’re never inadvertently wasting battery life. The inbuilt scroll wheel also really helps to quickly navigate documents and allowed a whole other level of controllability. Response time was great too – we really pushed the distance of connectivity and were amazed to find both the keyboard and mouse still responded well over 24ft away. Fantastic if you’re giving presentations and using both as controllers. Next up we had a chance to check out Anker’s Universal Bluetooth Wireless Keyboard. 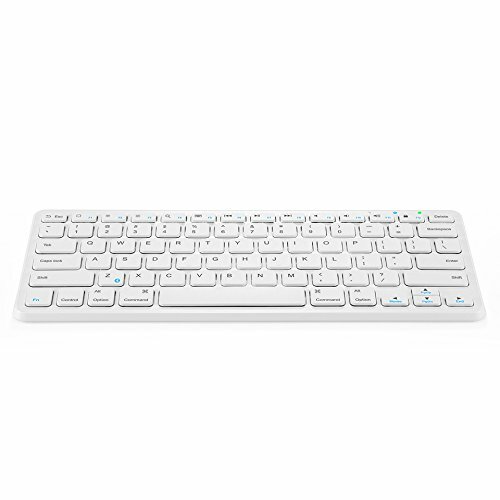 This ultra compact keyboard was incredibly minimalist at just 11.3 x 5inches making it ideal for using whilst commuting or even navigating your smart tv whilst lounging on the sofa! 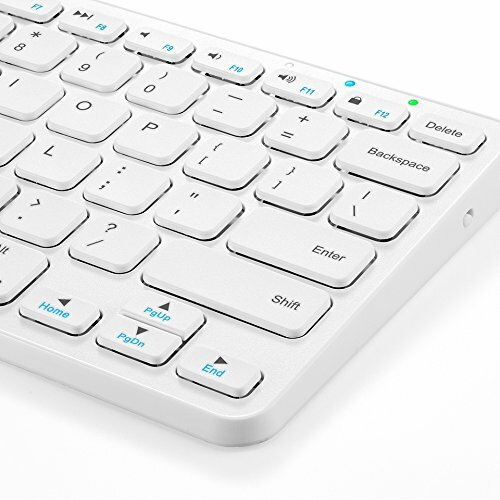 It has to be said the keyboard really is a thing of beauty with a sleek, clean white finish which means it seamlessly sits alongside all your modern tech. Compatibility wise the keyboard lists iOS, android, Mac OS and windows making it a lot more connectable to a wider range of operating systems. We tried with a range, all of which allowed the keyboard to integrate comfortably without any issues. Battery life is something very special indeed with the promise of a 6 month Battery Life on just a single two and a half hour charge. That’s an amazing claim and though we’re yet to test it out we’re positive considering Anker’s other incredible range of tech that it will more than stand up to that.